Do fancy Kaveri tours? If yes, this article is for you. Read on. In the early days, cities were designed around rivers, lakes and other freshwater sources. The river Kaveri or Cauvery as it is also spelled and its tributaries originate in the Western Ghats and flow across Karnataka and Tamil Nadu for about 765km. Thus, it is not surprising to note that a number of villages and towns were established along the banks of this river. It is because of that, that today, there are a number of historical and religious points of interest along the river. Here are some of the top places you can see on Kaveri tours. 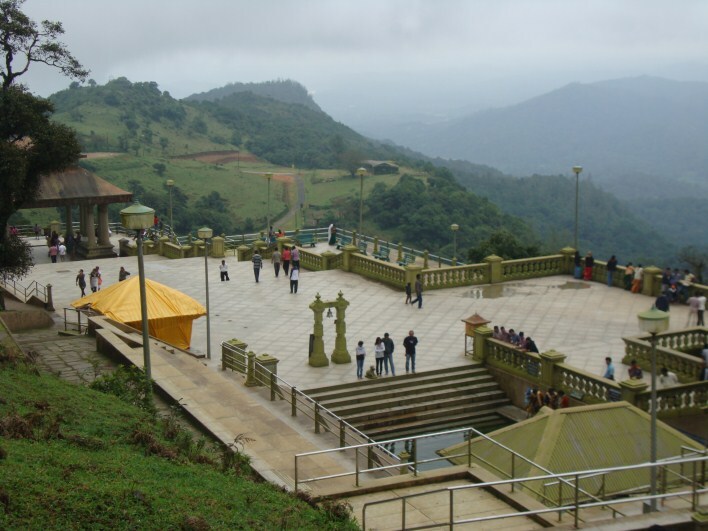 Talakaveri on the Brahmagiri hill is considered the source of the Kaveri River. At a height of 1,276 m above sea level, water from a spring here flows underground to the Kaveri River. The only time water can be seen visibly flowing from here to the main river curse is during the monsoon. Talakaveri also has religious significance. There is a small temple at Talakaveri dedicated to Goddess Kaveramma with a sacred tank beside it. This tank is supplied with water from the same spring. The temple also houses idols of Lord Agasthiswara and Ganapathi. According to folk legends, the Kaveri River was contained in a vessel called a Kamandalu by Sage Agastya. Ganapathi took the form of a crow and toppled the Kamadalu thus releasing the Kaveri River while Sage Agastya was meditating. Bhagamandala is another popular pilgrimage destination along the Kaveri River – one of the must see Kaveri tours destinations. This marks the point where the Kaveri meets the Sujyoti River and the Kannike River. Pilgrims consider this confluence holy and take a dip here before heading to Talakaveri. According to local legends, the Kaveri River is believed to the Dakshina Ganga that emerges from Shiva’s hair. Hence, a temple dedicated to Lord Shiva is also located here. Another temple called the Sri Bhagandeshwara temple is located a short distance from this triveni sangam. The Abbey Waterfalls in Madikari are a delight for nature lovers and photographers. A number of small streams come together and cascade down a height of 70 feet to create this waterfall. The land around this waterfall is privately owned by tourists are welcome. The owner developed it into spice and coffee plantations. Opposite the waterfall is a hanging bridge which offers a picturesque view of the waterfall. 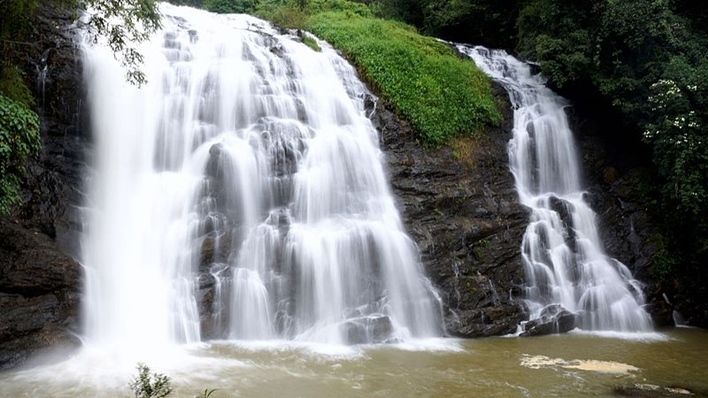 Dubare is a forested area on the banks of the Kaveri River in the Kodagu district. 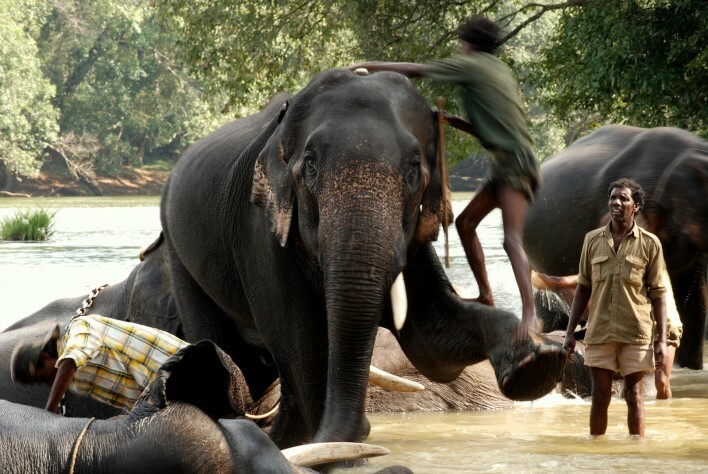 It is best known for its elephant camps. Elephants participating in the Mysore Dasshera Parade were trained here. Today, there is no training at the camos and elephants only give joy rides to visitors. Dubare is also popular with adventure tourists as it provides ample opportunities for trekking, fishing and river rafting. The forests here are home to a number of different types of animals, reptiles, non-venomous snakes and plants. Nisargadhama is a beautiful island spread over 64 acres in the middle of the Kaveri River. The island can be accessed by a hanging bridge and is a popular picnic spot. A number of cottages also provide accommodation on the island. Other attractions include a deer park, children’s park, boating, elephant rides and an orchidarium. Visitors are permitted to enter the water at a few places. Krishna Raja Sagare refers to a dam on the Kaveri River and the lake created by it. The dam was named after the erstwhile Mysore Maharaja Krishnaraja Wodeyar IV. Construction of the 130 foot tall dam began in 1911 and was completed in 1924. The dam acts as a major source of water to the area around. One of the interesting features of this dam is that it was constructed with surki mortar instead of cement as the latter would have been too expensive to import. Adjoining the dam is a beautifully landscaped garden known as the Brindavan garden. This was designed in 1927 as three terrace gardens that feature a number of trees, flowering plants, topiaries and fountains including a musical fountain. The garden also has a lake where visitors can enjoy boating. Srirangapatna is a town of historical, religious and cultural significance. This is an island town in the River Kaveri that derives its name from the Ranganathaswamy temple. 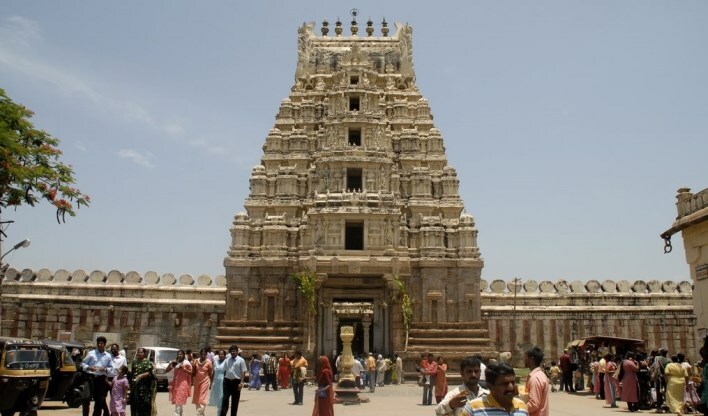 Srirangapatna is one of the three islands on the Kaveri River to have temples dedicated to Ranganathaswamy. Since the Vijayanagar Empire, controlling the Srirangapatna fort demonstrated control and symbolized sovereignty over Mysore. The Ranganathaswamy temple was built by rulers of the Ganga dynasty in the 9th century and has had religious significance ever since. It boasts of a blend of the Vijayanagara and Hoysala architectural style. The Srirangapatna fortress was the last defense of the Mysore Kingdom against invaders. The village of Somanathapura on the Kaveri Riverbanks is most well-known for the Chennakeshava temple. This temple was built by the Hoysala King, Narasimha III in 1268AD. This Vaishnava temple is a fine example of the Hoysala style of architecture. The temple follows a symmetrical design with a pillared corridor around the main temple. The main temple has three sanctums and sits on a star-shaped platform. The western sanctum was to house a status of Kesava, the northern sanctum was dedicated to Janardhana and the southern sanctum was dedicated to Venugopala. The temple has a common pillared community hall. One of the features of this temple that makes it stand out is the intricate carvings on the walls, pillars, and ceiling of the temple. Scenes of the Mahabharata and Ramayana are also portrayed in friezes. So, what are you waiting for? Pack your bags and get ready for the Kaveri tours.